I was in Terlingua Tx. this past year to do some night photography. This area of Texas has wonderful night skies and a few interesting old mining towns. 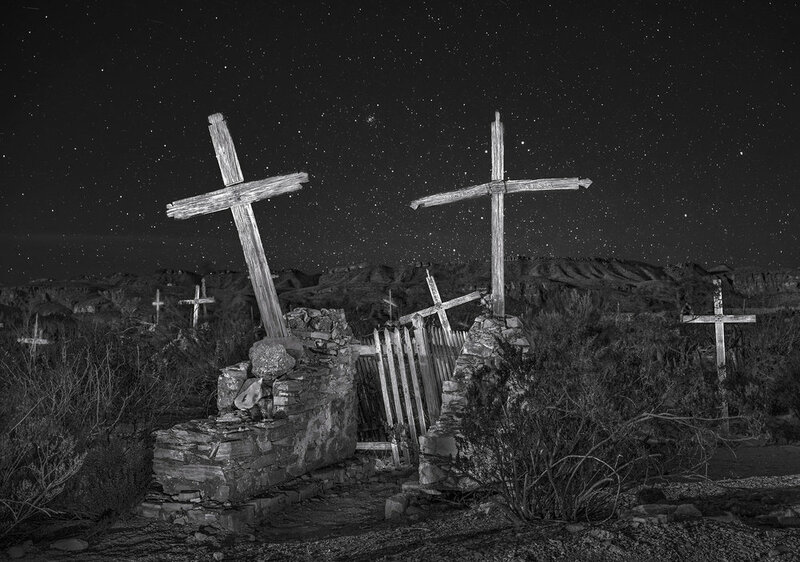 I made this image around midnight using a flashlight to paint some light on the crosses. I have made several trip to this area over the years and I am always fascinated with the rugged landscape and the history of the area.